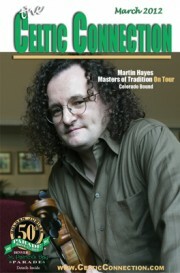 Irish fiddle virtuoso, producer, and impresario, Martin Hayes is heading for Colorado with the Masters of Tradition on Tour! As Artistic Director of Masters of Tradition on Tour, Hayes has brought together seven of the most compelling artists in Irish music today for a unique concert celebrating the art form. Joining Hayes on fiddle are vocalist Iarla Ó Lionáird, fiddler Cathal Hayden, guitarists Dennis Cahill and Seamie O’Dowd, Máirtín O’Connor on accordion, and uilleann piper David Power. With performances of solos, duets, trios, and full group collaborations, the evening’s format gives real insight into the musical journeys that these musicians, and the masterful music they play, have taken over the years. Masters of Tradition is named for the highly-regarded music festival held each August in the Irish coastal town of Bantry, Co. Cork. Martin Hayes devised the festival, in collaboration with the classical music organization West Cork Music, in order to create a space where the heart of traditional music could be revealed. The intimate performances take place in an old stone church in the town center and in Bantry House, one of Ireland’s most beautiful 18th-century Georgian mansions. “When we started this festival in 2003, my belief was that a sufficient audience with interest in the most authentic form of Irish music must surely exist; that the music itself does not have to be shaped and bent to meet the perceived needs of an audience. In its purest form it speaks a universal language. I have sat through almost all of the performances each year of this festival and every time I leave Bantry, I do so with a renewed faith in the strength of this music.” said Hayes. In 2009, the Sydney International Festival invited Hayes to create a touring version of Masters of Tradition to play at the Sydney Opera House. The remarkable line-up of Irish musicians quickly sold out a two-night engagement at the 3000-seat venue, captivating the audience and winning critical acclaim. The touring group makes their American debut in April 2012, ending their tour Friday April 20 at the Gothic Theatre in Denver, Colorado. Tickets also available in person at the Denver Folklore Center 1893 S. Pearl St. Denver. The 8th Annual Party of Parties – Green Tie Event March 17th! Metro Community Provider Network (MCPN) will host The 8th Annual Green Tie Event takes place at the Seawell Ballroom, Denver Center for the Performing Arts on Saturday March 17th. Headlining the entertainment will be the irrepressible Bridies, with dynamic dancing from Strictly Irish and special guest dancer Karen Callaway Williams. A tap dance instructor for Worth-Tyrrell studios for the last 10 years, Williams brings a wide depth of experience and talent to any event at which she performs. From being the feature in two Broadway shows to TV specials in her honor, to performing in concerts and on stages around the world, Williams has gained notoriety and respect for her talent. She has recently finished a 3 year stint with the Broadway production of Riverdance. Williams was also a guest on Sesame Street, as well as one of four artists featured in EssenceMagazine. Williams is a graduate of Spelman College with degrees in Psychology and Dance, and a charter member of the New Jersey Dance Ensemble. She has performed with some of the greats of all time, such as Duke Ellington and many others throughout her illustrious career. The Detroit Symphony, Indianapolis Symphony, and the Toronto Symphony all have claim on this busy star to be their featured tap artist. With all this experience and talent together in one person, she is sure to make a tremendous addition to the Green Tie event! Popular 9 News Reporter Amelia Earhart will emcee the evening events from start to finish! Amelia Earhart joined 9 News in 2007, beginning her career there as a Sky 9 reporter guiding her listeners with traffic reports and breaking news from the sky. She is a graduate of the University of Colorado in Boulder, and began her career in radio with 850 KOA. Soon, she found herself at 9 News speaking to audiences of thousands everyday. Aside from broadcast, another great passion of hers is aviation. A distant relative of the famous Amelia Earhart of the early 1900s, she takes pride in her relation and in the uniqueness and recognition contained in her name. In fact, her family gave her the name because they wanted her to stand out- and stand out she has! Outside of work, Earhart is devoted to the Colorado community. She travels all over, speaking to schools with students who are interested in aviation. She is also currently working on her own private piloting license. MCPN is a nonprofit organization and has provided medical and health education services to the underserved since 1989. Their mission is to provide excellent health-related services focusing on the underserved. Current service areas encompass Jefferson, Arapahoe, Adams and Park Counties and the City of Lakewood and Aurora. MCPN has one of the largest population base of any Community Health Center in Colorado and, the largest number of underserved individuals in the State. For the first time both the US Open and the Open trophies reside in Northern Ireland. Rory McIlroy, a 22 year old blessed with fabulous talent and youthful exuberance, holds the US Open trophy. While Darren Clarke, the elder statesman of Irish golf, won the Open at Royal St. George’s last July. These victories follow up on Open victories by Padraig Harrington in 2007 and 2008 and Graeme McDowell in the US Open in 2010. Irishmen have won 5 of last 14 Major Golf Championships. Truly remarkable considering the 6 million population. Perhaps the reason Ireland produces so many golf champions can be attributed in part to the accessibility of the game. With over 400 golf courses of breathtaking and varied landscapes, golfers can enjoy championship links courses and challenging parkland courses all year round. Whether you are a fanatic on a pure golfing tour or whether you just want to play a bit while on a family holiday, Ireland, as a golf vacation destination, is one of the finest in the world. Courses like Lahinch, Ballybunion, Watervile, Royal County Down and Royal Portrush all rank in the top links courses in the world. 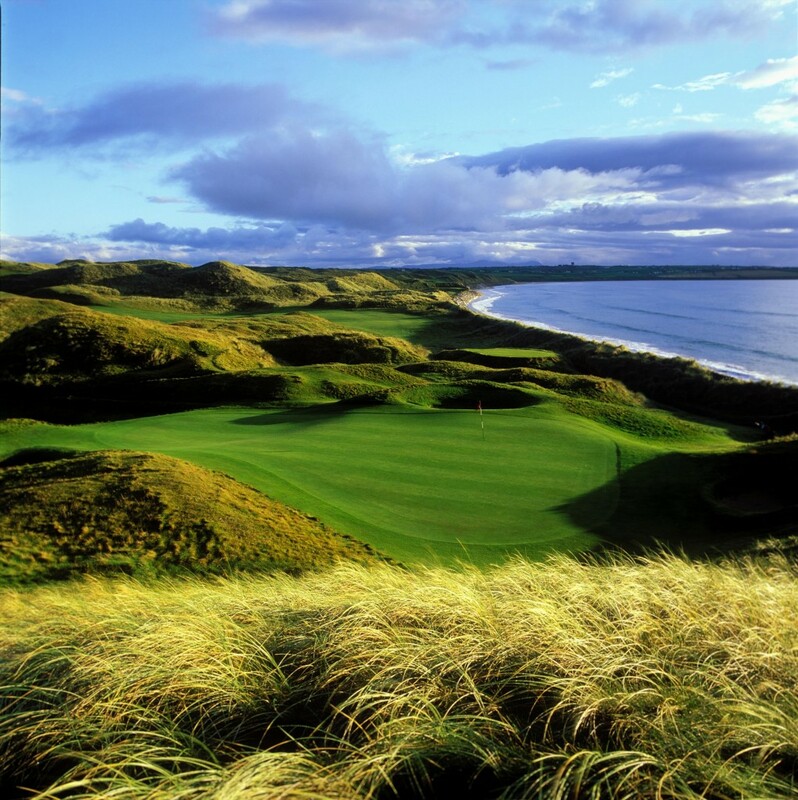 Royal Portrush hosts the 2012 Irish Open June 28th to July 1st. The tournament presents an excellent opportunity to combine sight seeing with watching the best professional golfers in the world. Located close by Portrush is the Giant’s Causeway, an area of 40,000 mostly hexagonal interlocking basalt columns reaching out into the ocean toward Scotland. A must see for any tourist. One of the main Northern Ireland 2012 events this summer will be the opening of the new Giant’s Causeway visitor center. In addition, this summer Northern Ireland 2012 is offering an exciting array of cultural events and concerts including the Titanic Belfast Festival, Peace One Day Concert, 50th Ulster Bank Belfast Festival and the World Clipper Yacht Race. Details are available at discoverireland.com. Ireland offers accommodations, meals and green fees for any budget. With over 350 18 hole courses and numerous 9 hole lay outs, golf is available from 5 euros to 150 euros. If you want to play one of the gems, it’s imperative to arrange your tee times before you go. All of the leading clubs have easily navigated web pages. If you plan to play any of the many local courses you can usually walk up and get right off. With summer sunsets near 10 pm there is plenty of time to play. I am frequently asked by friends heading to Ireland for their first golf excursion, what is the most important thing I can do to make my trip memorable? After visiting Ireland over 20 times in the last 20 years, I always respond, “Go out of your way to meet the people.” Sure the unrivaled beauty is immensely impressive but the conversations with the Irish are the experiences that you will remember for years. If an Irishman happens to join your 4 ball it adds immensely to the experience. There are many subtle and some utterly unimaginable hole configurations. Local knowledge is very helpful. After golf the Irish always visit the ‘19th hole’ for a pint, a coffee or soft drink. Try to always join in as it is an opportunity to rehash the round and to learn more about Ireland. May you visit Ireland soon. You will not be disappointed.